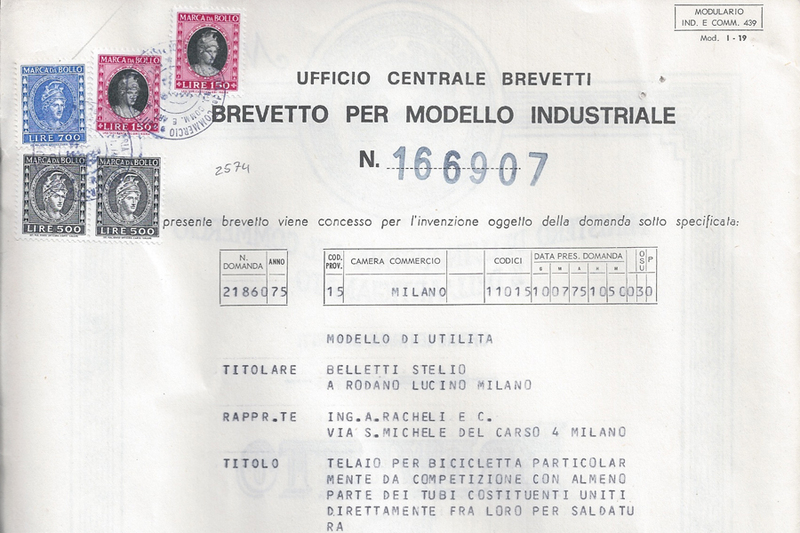 In 1975, Stelio Belletti decided to file patent No. 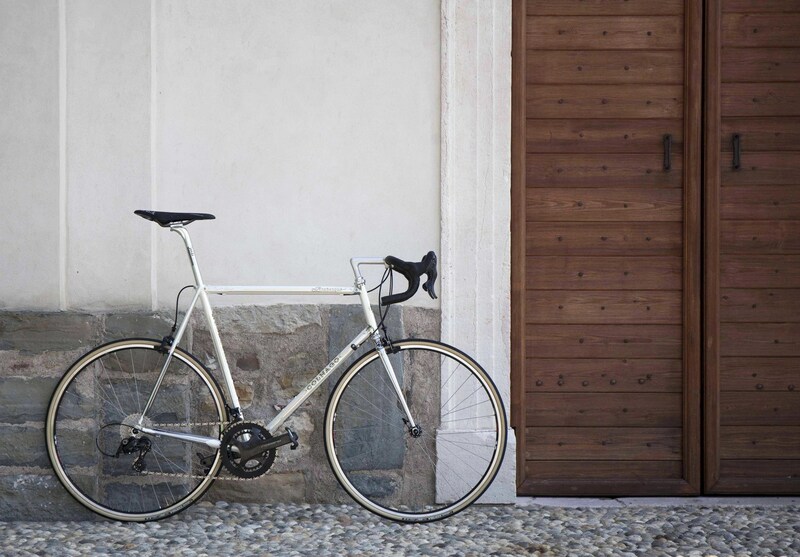 166907. 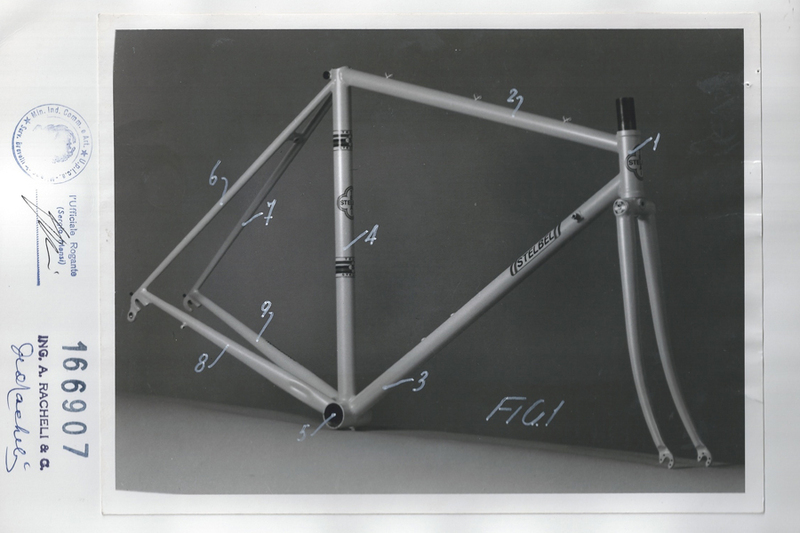 The patent technically presented the construction of the Integrale model, but in reality it contained the approach that Stelio has always applied in the creation of each Stelbel frame. 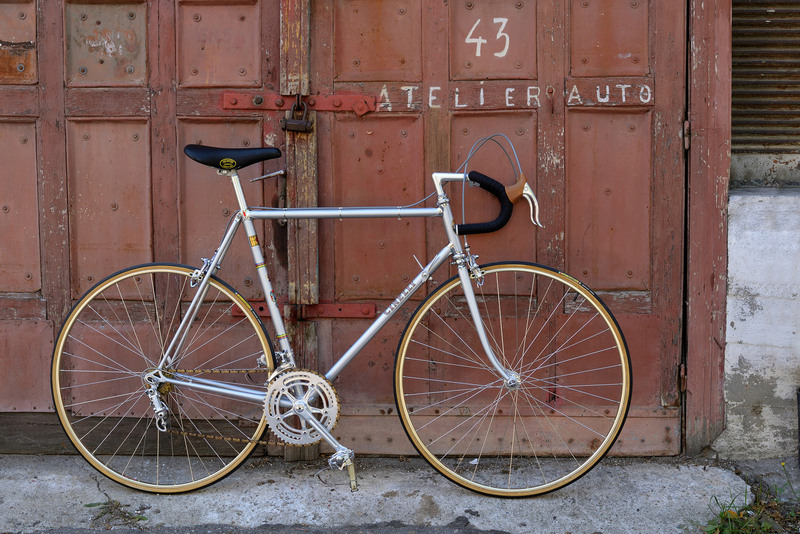 An innovative approach that led him to experiment with a fabrication technique for the time, as in the case of this very first Integrale model from 1975, one of the few remaining pieces that we have recently restored. 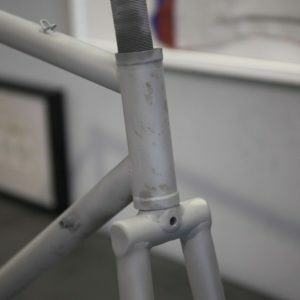 As with each Stelbel frame, it is TIG welded, the tubing (25.4-28.6-28.6) makes a total frame weight of 1.610g (truly remarkable for this period), the rear dropout is cut and welded to the lower part of the chain stay, identifying the Integrale model. 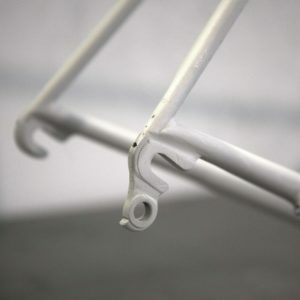 This is the solution that Stelio adopted to stiffen this area, with a shortened dropout, both to facilitate easy insertion of the rear wheel and ensure that it can be quickly centred. 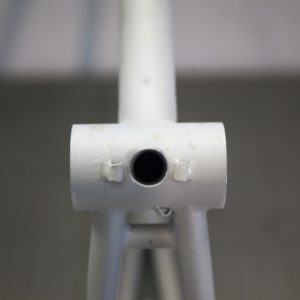 The seat tube is reinforced by an inner sleeve, the distinctive signature of the entire Stelbel production, bringing the diameter of the seat post to 25mm. 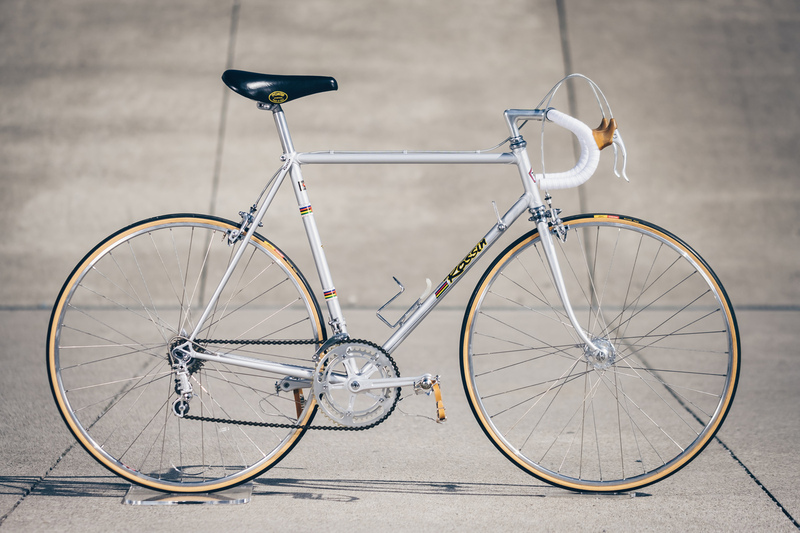 The head tube has reinforced rings at each end while this first generation fork is a fine example of Stelio’s great craftsmanship. 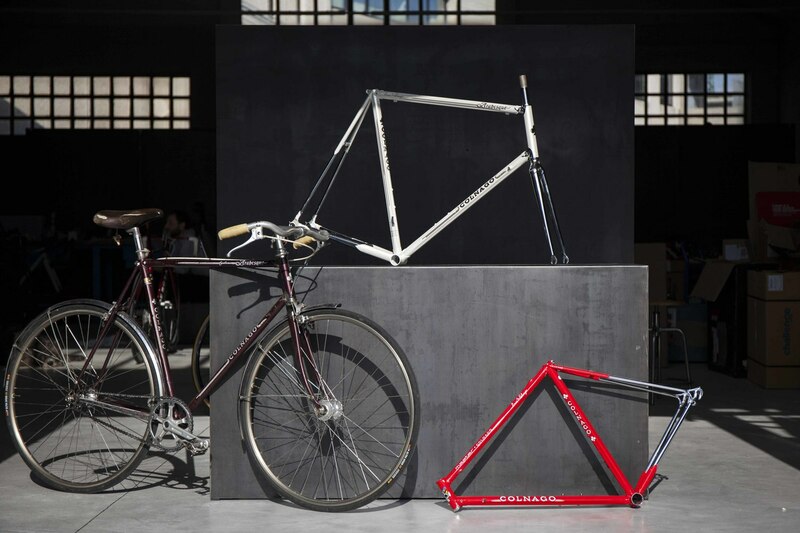 This fork is made up several parts and is truly a masterpiece of engineering. 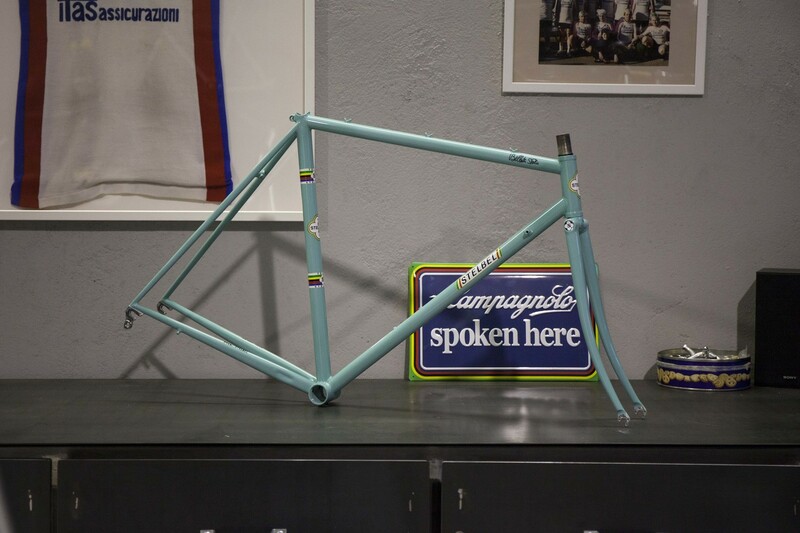 Stelbel gave us exact replica decals from 1975 and the color was taken from another restored frame, ensuring everything is period correct. 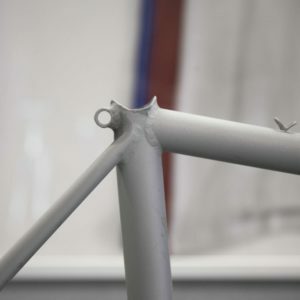 Now we just have to send it to its Australian customer, and we can’t wait to see this prestigious frame built up.